This guide will show you how to install multiple operating systems onto a single USB drive. There are many reasons why you might want to do this. If you are going to use Linux on a powerful computer then you might use Ubuntu or Linux Mint. This tutorial will teach you how to create a multiboot Linux USB drive using Linux. However, if you are using a less powerful computer you might want to use Lubuntu or Q4OS. By having more than one Linux distribution installed on a USB drive you can have Linux available to you wherever you go. This guide assumes you are using the Windows operating system to create the USB drive and the tool that is highlighted requires Windows 7, 8, 8.1 or 10. Tools For Booting Multiple Distros. In order to create the USB drive you will need to install YUMI. YUMI is a multiboot USB creator and, if you aren't familiar with it, you should read up on YUMI before continuing. Open your web browser and go to the YUMI multiboot USB creator download page. Scroll down the page until your see Download YUMI. There will be two links there. You can choose to download either version but going for the UEFI YUMI Beta version may yield the best results, despite it having the word "beta" in it. 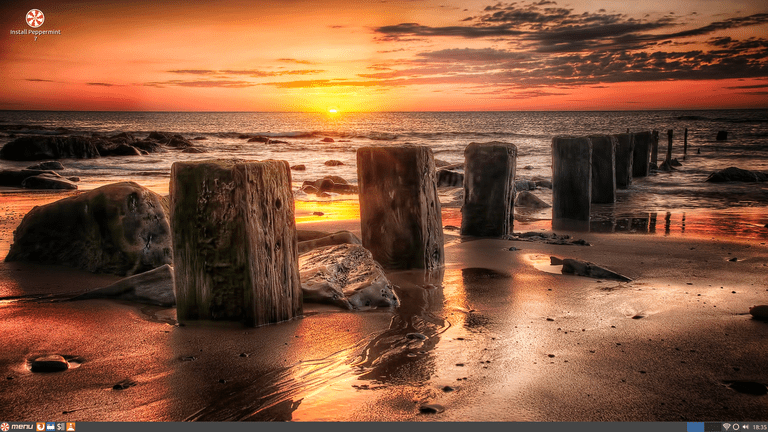 Beta generally means that the software isn't fully tested yet bu, in this case, it works very well and it will allow you to run the Linux distributions you install to the USB drive on all computers without having to switch to legacy mode. Most modern computers now have UEFI (Unified Extensible Firmware Interface) as opposed to the old school BIOS (Basic Input Output System). Therefore for the best results select Download YUMI (UEFI YUMI BETA). The download will take a few minutes to complete, depending on your connection. When it's done, you'll be ready to install and set up YUMI. Now that you have the YUMI installer, you can run it to install YUMI on your system. From there, you'll be able to create your multi-boot USB. Insert a recently reformatted USB drive or one without any important information on it. You will lose everything on the USB, so make sure that you make backups first. Open Windows Explorer and navigate to your downloads folder. Locate and run your recently downloaded UEFI-YUMI-BETA.exe file. A new window will pop open and display the YUMI license agreement. Select I Agree to continue. The YUMI interface is fairly straight forward but lets go through the steps to adding the first operating system to the USB drive. Select the drop down menu under Step 1 and choose the USB drive where you wish to install the operating system. If you can't see your USB drive place a check Show All Drives and select the drop down again and choose your USB drive. Select the next list under Step 2 and scroll through the list to find the Linux distribution or the Windows Installer should you wish to install. If you don't already have the ISO image downloaded select Download the ISO (Optional) as well. If you have already downloaded the ISO image of the Linux distribution you want to choose Browse and navigate to the location of the ISO image of the distribution you wish to add. If the drive isn't empty you will need to format the drive. Select Format drive (Erase all content). Finally, select Create to add the distribution. With the first distribution queued up and ready to go, you're ready to continue on to actually installing the distribution on your USB drive. A message will appear telling you exactly what will happen if you choose to continue. The message tells you whether the drive will be formatted, a boot record will be written, a label will be added and the operating system will be installed. Select Yes to start the installation process. What happens next depends on whether you chose to download the distribution or install from a pre-downloaded ISO image. If you chose to download then you will have to wait for the download to finish before the files are extracted to the drive. If you chose to install an already downloaded ISO image then this file will be copied to the USB drive and extracted. When the process has completed select Next to continue. A message will appear asking whether you want to add more operating systems. If you do, press Yes. To add a second operating system to the drive you follow the same steps as before except you should not select Format drive, or you will lose the first operating system, and that's a major waste of time. Refer to the steps for the first OS, if you need a refresher. Remember that this is exactly the same, save for formatting the drive. There are a couple of additional options that you should also be aware of this time, though. Show all ISOs will allow you to see all ISO images when you choose Browse and not just the ISOs for the operating systems you can chose in the dropdown list. Under Step 4 you can drag a slider along to set an area of persistence. This will allow you to save changes to the operating systems you install to the USB drive. The slider controls how much drive space the operating system has to work with on the USB. By default this is set to nothing and therefore anything you do in the operating systems on the USB drive will be lost and reset the next time you reboot. To continue adding the second distribution, Create again. You can continue adding more and more operating systems to the USB drive until you have as many as you need or indeed you run out of space. YUMI offers you the flexibility to remove operating systems that you've installed on your USB drive. This way, you can actually swap out an OS that you aren't using anymore for a newer version or something entirely different. Insert your USB drive into your computer again. In YUMI, select View or Remove Installed Distros to access a list of distributions on your USB. Select the operating system you wish to remove from Step 2. When you're ready, select Remove to uninstall the operating system. To use your USB drive make sure that it is plugged into the computer and reboot your computer. If your computer manufacturer doesn't appear in the list try using Google to search for the boot menu key by typing (manufacturer's name boot menu key) into the search bar. You can also try pressing ESC, F2, F12, etc when booting. Sooner or later the menu will appear and it will look similar to the one above. When the menu appears use the down arrow to choose your USB drive and press enter. Once you've selected your USB as the boot device, YUMI boot menu should now appear. The first screen asks whether you want to reboot your computer or view the operating systems you have installed on the drive. If you choose to view the operating systems you have installed to the drive then you will see a list of all the operating systems you have installed. You can boot to the operating system of your choice by using the up and down arrows to select the desired item and the enter key to boot into it. The operating system you have selected will now boot and you can start using it normally.